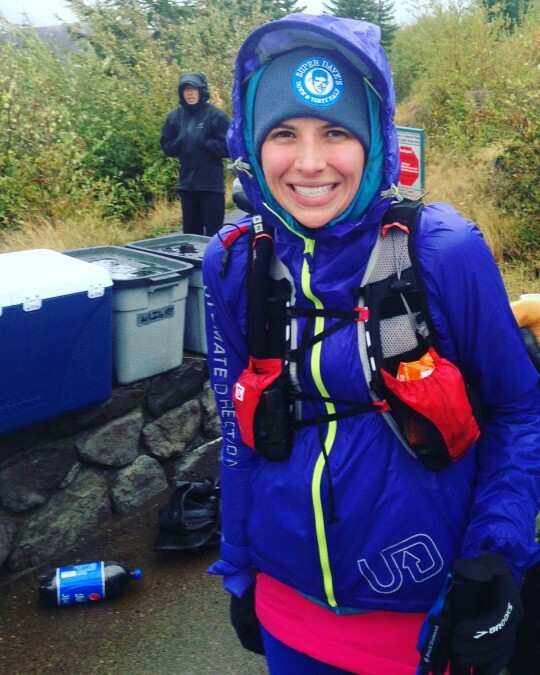 Alli is a multi-sport athlete and marketer based in Bend, Oregon. She once thought she could never run a marathon. My first 100k was a beautiful point-to-point journey through quintessential Pacific Northwest forests, across sharp ridges, and around basins that cradled deep blue alpine lakes. Through the day, a light drizzle became a downpour, then hail and high winds, and then some mix of these into the evening. As I sat in a van at an aid station around mile 35, I concentrated on the coffee sloshing onto my lap. My shivering body couldn’t hold the cup still. I was done. There were some other runners in the van who were in a similar state. We were all done. A volunteer opened the sliding van door and leaned in: “Looks like there’s a break in the storm! 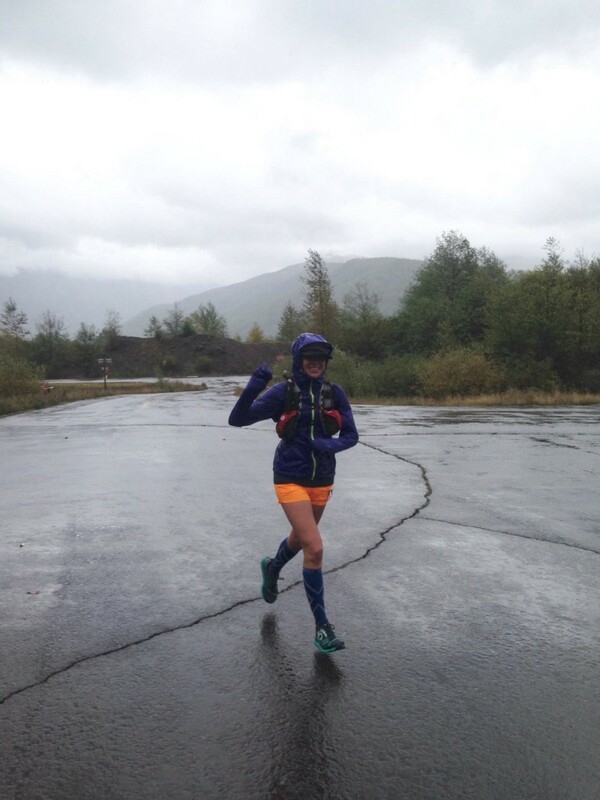 If you want to keep going, now’s a good time.” I exchanged looks with two other runners. 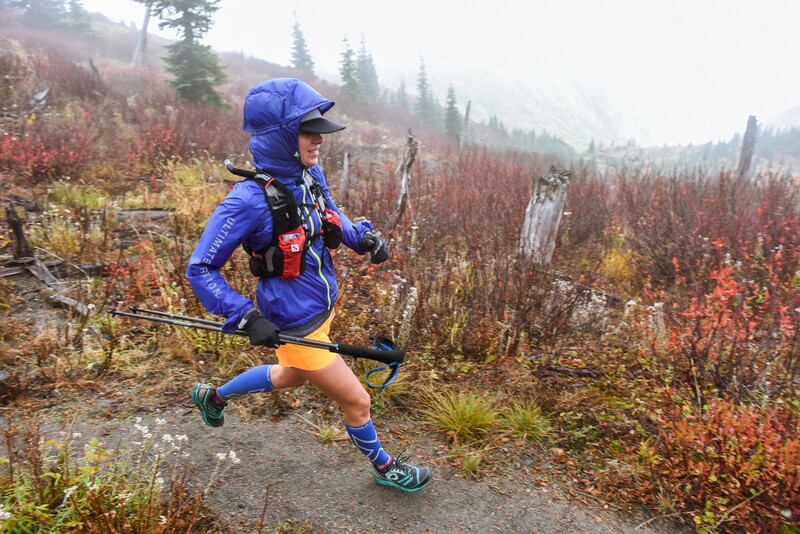 In a blur of motion, I was changing into all the dry clothes I could find, tugging a beanie over my head, and stuffing gels into my pack. The three of us agreed that we could keep going if we stuck together. Darkness set in and the storm returned. We navigated rolling terrain made of sand and pumice. There were no trees to block the wind or rain. Fog settled in, making it even more difficult to locate the course markers in our headlamp beams. We made slow progress together, calling out and pointing as we spotted each marker. Five miles from the next aid station, we faced a river crossing. What should have been a mellow hop across some rocks was a raging, ice-cold torrent, swollen by the storm. Again, our little trio worked together and got each other across, though I was once again soaked and chilled to the bone. I hit a wall. 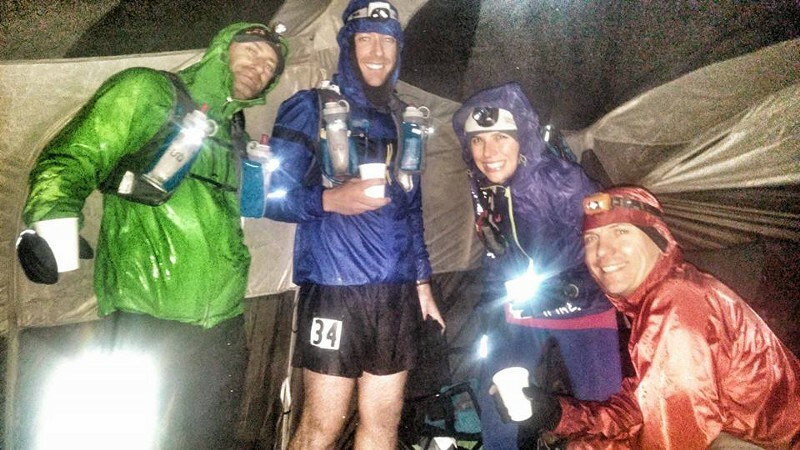 I stumbled into the aid station, shivering and determined to be done. I told my new friends to continue without me, which they did after a short break. Cold and wet but smiling. The volunteers helped me peel off my soaked layers and climb into a sleeping bag. They handed me a hot water bottle, and I tried to doze off. I had no appetite or interest in continuing the race. They offered me their dry shoes, their dry clothes, their waterproof jacket. It became harder to keep saying no, so I said maybe. Sometime in the middle of the night, I realized I had stopped shivering. I sat up and asked for some broth. I had an appetite! I accepted an offer for a waterproof jacket, men’s size large, and donned it like a poncho over my pack. I had 12 more miles to go. Setting out in the depths of night, I was back in the forest and the trees offered some protection from weather. The storm tapered and gave way to a blinding pink sunrise that illuminated a fresh dusting of snow higher on the mountain. Shuffling my way through the miles, I picked up speed on the final descent and finished strong. My friends were there. We had survived.